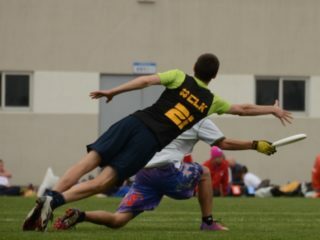 Venezuela is trying to make it to the world stage of ultimate once again. Our track record isn’t great so far, due to the challenges that living in Venezuela provides. I wanted to take an opportunity to share those challenges below and outline our mission for France this year. 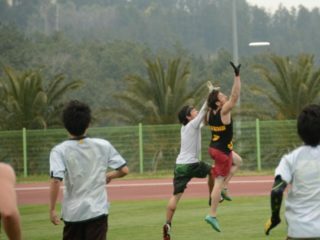 There are talented individuals hungry for ultimate, who will go to great lengths to travel to France this year and give the world a glimpse of the true Venezuelan spirit, and their love for all things ultimate. Last time around, there was a strong initiative started by world-class players who wanted to compete in London. The rising economic crisis and visa problematics caused the team to drop out of the race before the starting gun was fired. 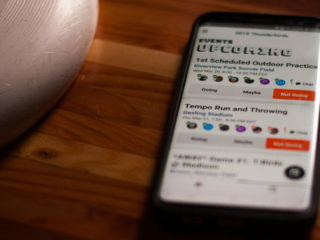 The stage was set for 20 talented individuals to represent flag and shield during the World Championships of Ultimate and Guts, but one by one the players starting finding the situation impossible to deal with and the squad fell short to complete the required numbers to be eligible to play. Some problems are old news to some, but they are still existent and should be mentioned. Venezuela is living through one of the worst crisis in its history. One of the main problems is that it is a mono-productive country. We take our income from oil. Since we can’t dress in oil rags, or have an oil omelette for breakfast, we have to import large quantities of everything else we need. Having a monetary exchange blockade makes it very hard for importers to have the currency needed to import, and so part of what was once there now fails to be. The product of this government decision keeps governmental dollars at a very low price, but then limits the amount of dollars an individual could get, and controls who gets it and when, opening the floor to black market speculation. When a businessman does not have the currency he needs, and can’t obtain it from government, he must seek it wherever to keep his business afloat, and usually finds it an alarming rate. He must buy it, but also he must turn a profit, so he must raise his prices. This is what Venezuela is going through. 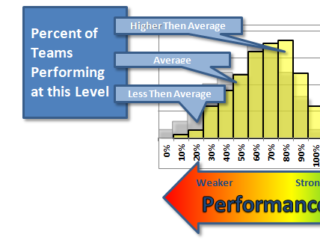 Prices rise higher, exchange rates rise higher, and people have less means to meet the raise. Businesses go bankrupt, importers fall, raw materials are inexistent, producers can’t produce, and one after another, the building blocks of society rot in decay. The effect this crisis has on Venezuelan teams trying to travel is simple. Air travel companies decided to stop selling tickets to Venezuelan people in Venezuelan currency (bolivares), because they were not getting exchanged by the government, and they were useless for paying what air travel companies needed to work. So, anyone who wants to buy tickets has to cough up some dollars, and since government has control over who gets what, a lot of times a minor sport will go unsupported. So, we turn to the black market for currency exchange, and find that there 1 dollar can cost up to 3500 bolivares, while the official rate is set at 11 bolivares. The difference is abysmal. Then paying player fees is more of the same. Government will not support national teams, they will not allow regulatory exchange. So, once again we find ourselves looking to buy dollars in the blackmarket. In the last article I wrote, I came to the conclusion that in order to pay for one player fee, by buying dollars through the black market, a player would have to work for thirty months. Well, this time around it has tripled in less than a year. This crisis has another side effect. The exodus of Venezuelans from our homeland to any land they can stay on. This is where we find most of our present team — immigrants that travelled at great cost and sacrifice to escape the confines of economic crisis, and find a better life with more safety and perhaps a noble future. Some of us have spent years away from our soils, and as hard as it may be to travel somewhere new and start a new life, trying to survive, ultimate has always been a huge aid. Ultimate has given us new friends, new family, and it has lifted our spirits when we were feeling homesick. 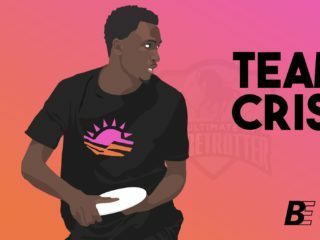 That is why some many of us, have pushed to develop ultimate in so many different countries, and have been involved in everything we can to support the sport that has supported us. Now, we want to represent our country in the World Championships of Beach Ultimate. We are preparing to do so, and this time we will stop at nothing to succeed in the dream of having a team on the line ready to play our hardest. Most of us have tickets, and have our player fees, but some are still finding it hard cover these preliminary needs. That is why we ask for the support of the community to contribute to our cause and help us make it to the final goal.